The bombshell report from the Intergovernmental Panel on Climate Change (IPCC) this week should be a wake-up call to everyone. We have long known that we need to decarbonise our energy supply. What many people hadn’t comprehended is how urgent that task is, with the IPCC arguing for a 45% reduction by 2030. Alongside this urgency is the need to maintain our own energy security in an unstable international context where Brexit and the behaviour of Russia mean that being dependent on any other country for energy is a risky choice. The urgency means we cannot wait around for new technology to save us. And the need for energy security means we cannot rely entirely on renewables. The conclusion is obvious, although many do not want to hear it: we need to invest in new nuclear. This is something the IPCC acknowledge, with every one of their scenarios dependent on large increases in nuclear generation, with one needing a 500% increase in nuclear by 2050. The problem, as always, is cost. It seems that everyone’s got an opinion about the cost of nuclear energy, and most of those opinions are rooted in the cost of building Hinkley Point C (HPC). Whether you believe that investment should have gone ahead or not, it’s certainly valid to ask whether there is a better way of doing it. But a proper conversation about cost must also include the carbon cost of alternative fuel sources; the regional economic cost if nuclear is no longer an option: the political cost to any government that cannot maintain security of supply and the cost to our environment if we do not act now to cut emissions. 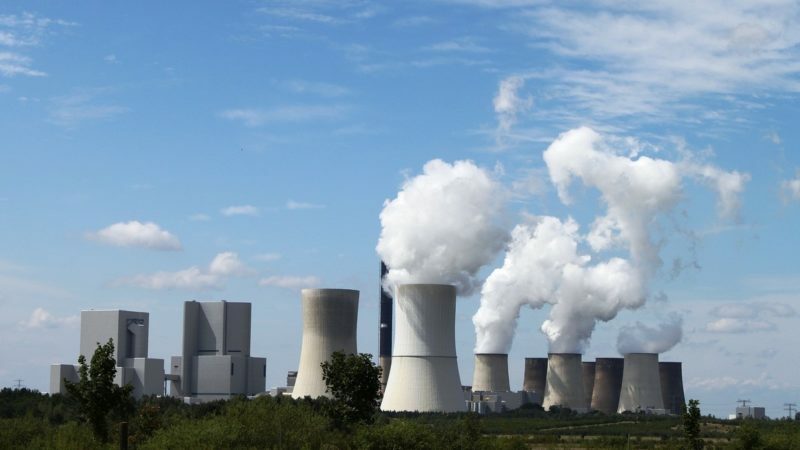 Prospect’s report ’Making the case for new nuclear’ shows that the UK is facing a reduction of 30% of current electricity generating capacity by 2030 as a result of the planned phase out of coal, decommissioning of nuclear plant and potential closure of ageing gas plant. This would leave the UK increasingly reliant on a mix of variable renewables and imports via interconnectors – physical energy links between other countries and the UK. Increased reliance on non-despatchable generation – i.e. energy that can’t be accessed on demand to meet need – at the same time as increasing reliance on imports, significantly increases energy security risk and will take the UK into uncharted territory. In practice we know that interconnectors are actually exporting power from the UK during 14% of peak winter hours. This problem is getting worse: over the last three winters interconnectors have exported more power, more often, during peak periods. As the share of renewables grows across Europe and the carbon price differential between the UK and mainland Europe erodes, there will be a dramatic reduction in the potential for imports. Prospect’s modelling of high demand, low wind and unreliable interconnector availability shows that the UK could be exposed to serious system stress with potential supply shortfalls during winter peak periods of 9-21% by the end of the next decade. These are exactly the conditions that occurred last January, when coal power saved us from a crisis, but that won’t be an option in future. Low wind is also a risk during summer months, as we saw in July this year when the median average load factor (energy use) for onshore wind was just 8.9% and 6.5% for offshore wind. This led to much higher summer peak prices and high dependence on gas for back up. Completing the new build programme in full would effectively eliminate these risks. It would also make a major contribution to local economies. On average existing nuclear power plants directly generate £1 out of every £8 of economic value in their local economies, even before accounting for supply chain benefits or wages spent there. And it’s not only nuclear communities that benefit. For example EDF Energy and Sellafield Ltd provide work for companies across the UK – at least £35 million of contracts have already been awarded to Scottish firms as part of the HPC project. During the operational phase the new build programme has the potential to provide around 33,000 highly skilled jobs and up to £6 billion a year for UK Plc. Our analysis, based on work by the Massachusetts Institute of Technology (MIT) and the National Audit Office, shows that a 50% government stake in new nuclear would generate £1.35 in tax revenue for every £1 spent. It could result in strike prices 13% lower than the average for offshore wind in 2017 and 42% lower than at HPC. It’s evident that there are investment funds potentially available from other sources – particularly if we could move away from City cultures that incentivise short-termism – though these would need to be underpinned by some form of government guarantee. Various options exist for greater public financial involvement in new nuclear, but it needs decisive action by government now. Warm words are not enough. Nuclear and renewables – along with carbon capture and storage – must be seen as complementary options in a balanced energy policy, not alternatives. This is the pragmatic way to tackle climate change and ensure the UK’s low carbon industrial future. Sue Ferns is Senior Deputy General Secretary of the Prospect union. Got a different take? Email [email protected] or leave a comment below.